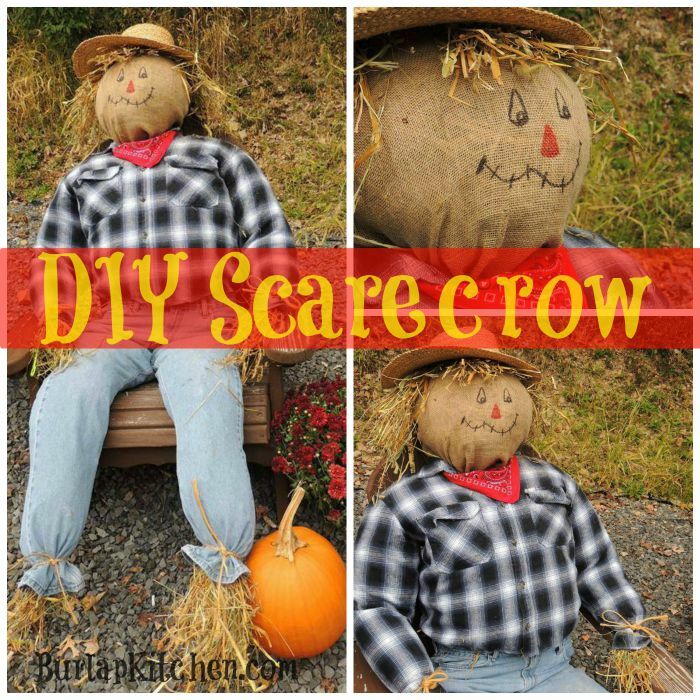 * My mom said the hay made her very itchy, so I recommend wearing pants, long sleeves, and gloves to make these. 1.) 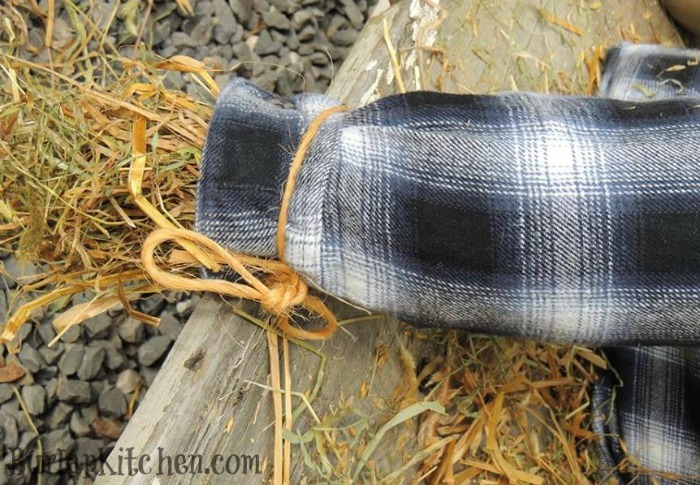 First, unbutton the flannel and start stuffing it with hay ( sorry, no photo.. this is where I caught her making it and ran for my camera! 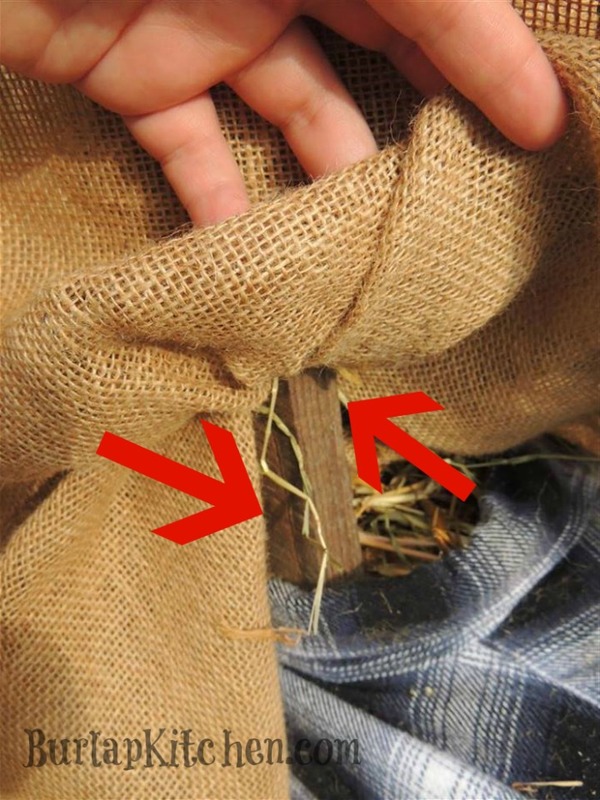 ha ) Once the shirt is all stuffed with hay tie some twine around the wrists but let a little hay stick out ( photo below). 2.) 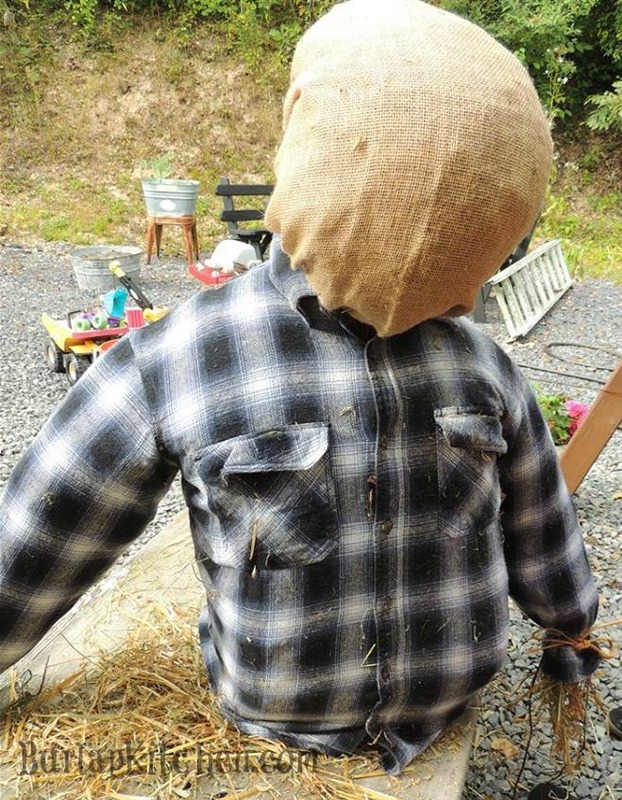 Once the flannel shirt has been stuffed, it’s time to start working on the head. 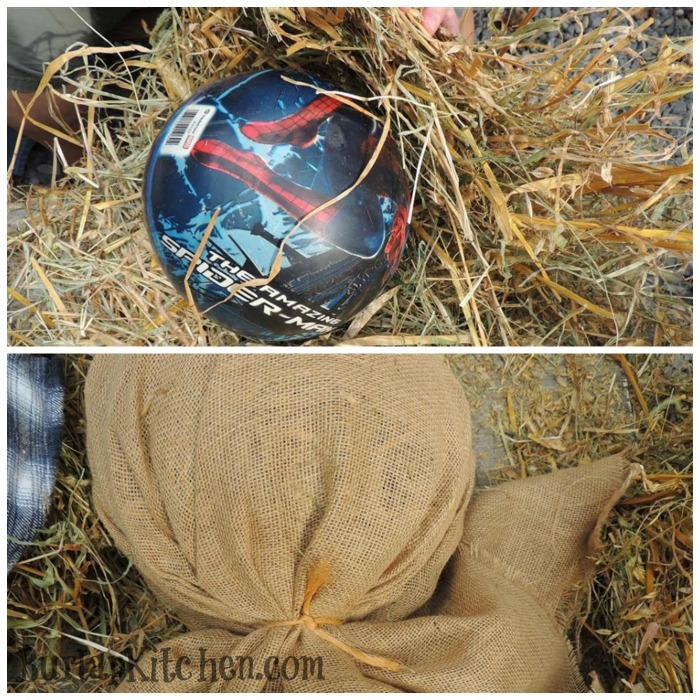 For the head, my mom used an old bouncie ball of my sons. 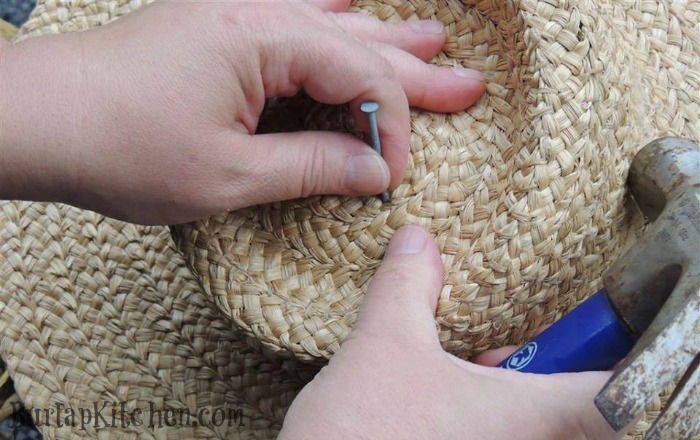 She wrapped it in hay to make it a little fuller and so the head would not look so round. 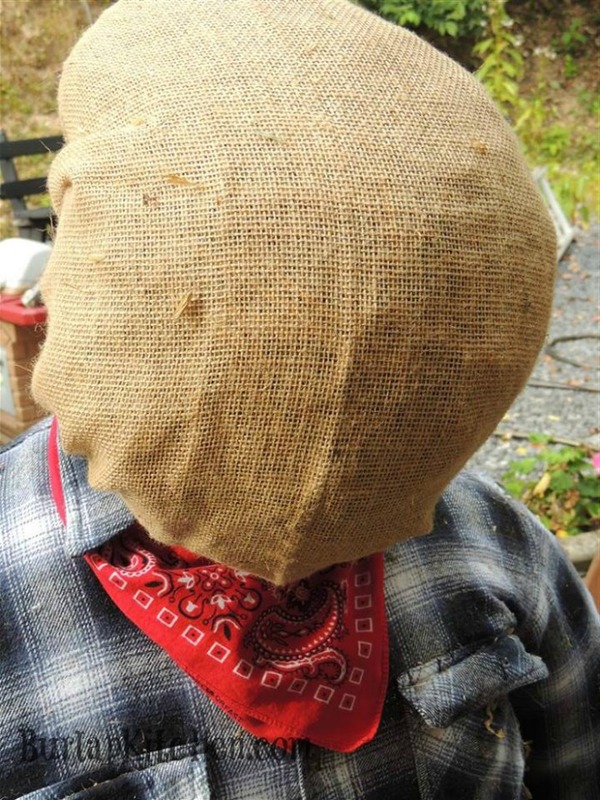 Once she got the head the size she wanted she wrapped a piece of burlap around it. 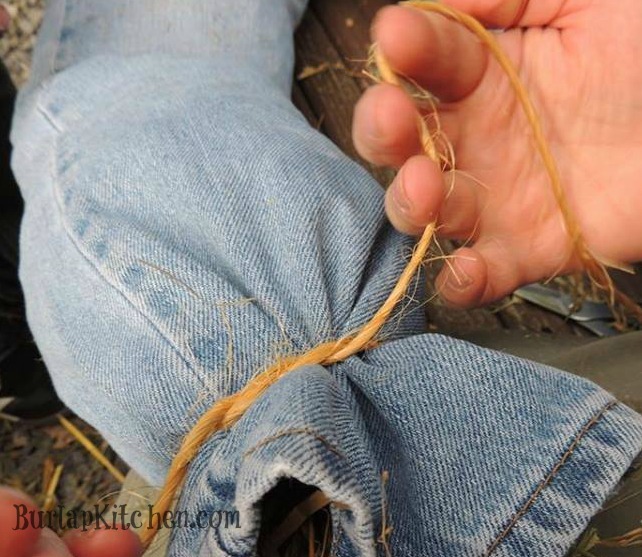 Then tied a knot at the bottom with a piece of twine. You will have something that looks like this..
4. 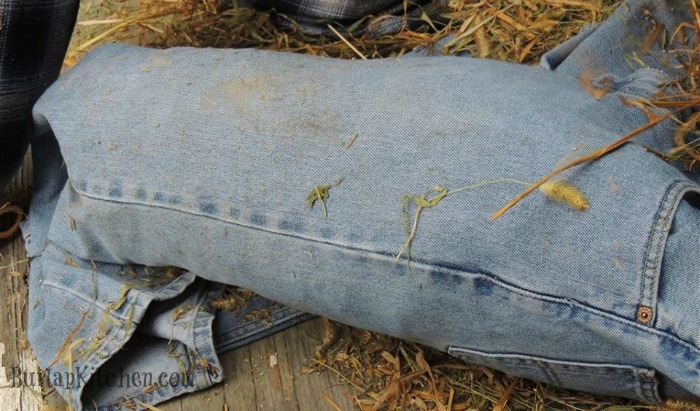 Stuff the pants up to the knees with hay. 5.) This next part you are going to need some help with. 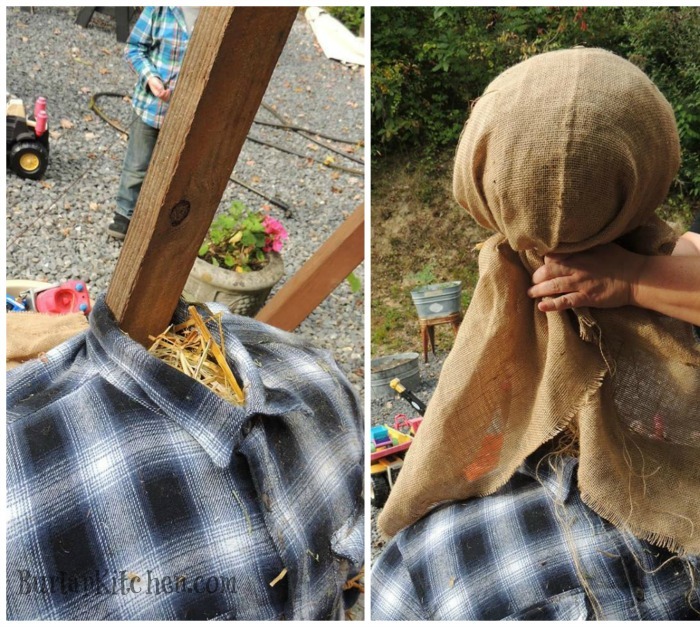 Have one person hold the top of the pants while the other person lifts the body of the scarecrow on top the pants. 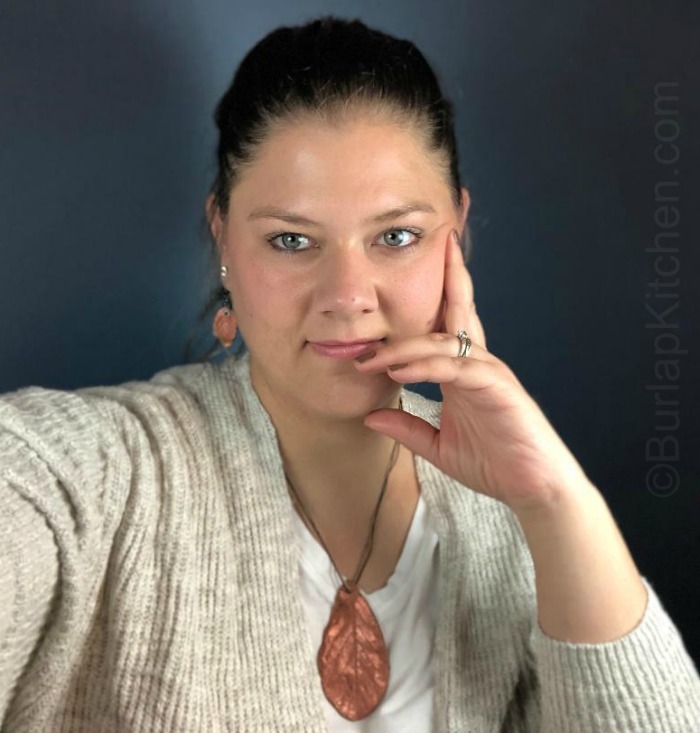 Tuck the shirt into the pants. 7.) 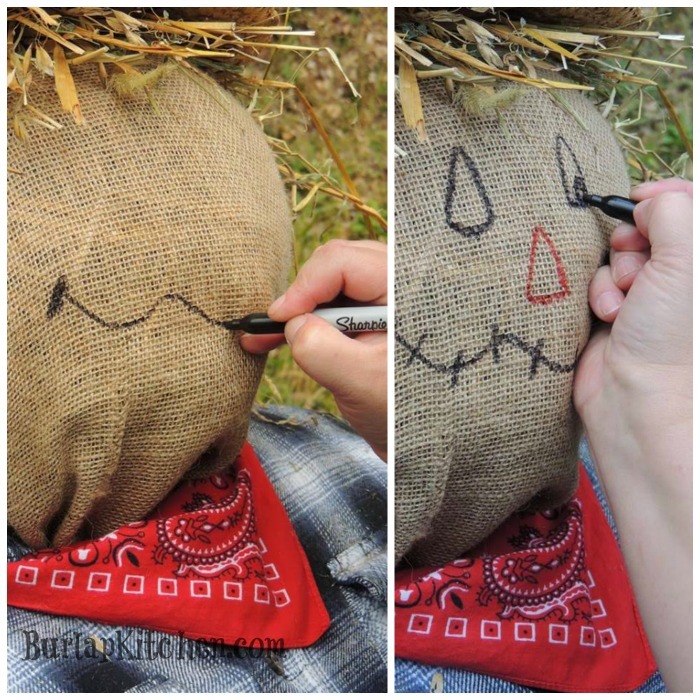 Take small bunches of hay and tie them together… this will be the scarecrows hair. 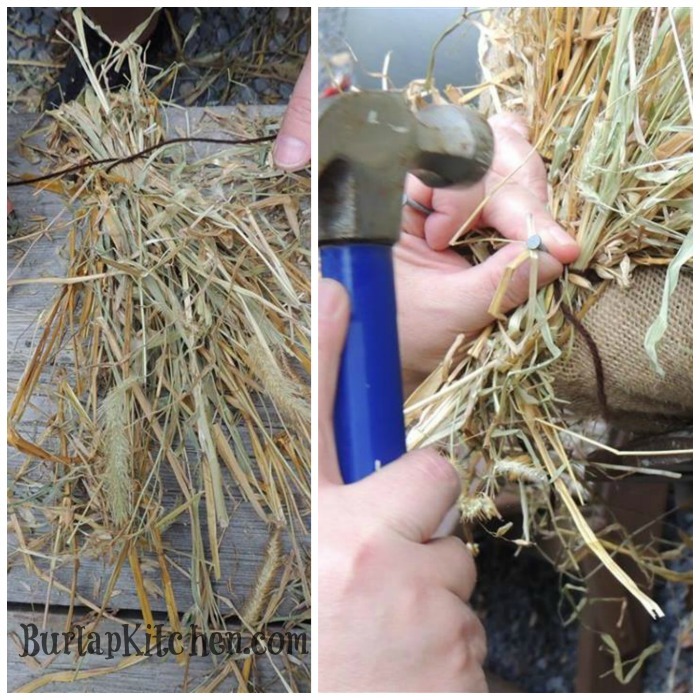 Attach the hair by nailing it to the top of the board that is under the burlap. 9.) And the last thing left to do is to draw the face. Using permanent markers, she drew the mouth and eyes in black and the nose in red.